Events will be added throughout the year, so keep checking back! Time to start planning for your custom paint job! Maybe you’ve been thinking about adding something on your vehicle to snazzy it up and make it uniquely yours. Or perhaps you’re looking to get a full custom paint job for shows you plan to attend. Whatever your needs or wants, we give the same high quality of work and attention to each of our clients regardless how small or how big your job! With the ability to be creative in giving you what you are wanting, fit your budget, and deliver excellent work, that is our goal! From hand painting a name, or pinstriping, airbrushing, commercial logo’s, art on canvas, and more. Mild to Wild, we do it all! Give us a call today, or simply email us on our website or message us on our facebook page for a quote. Another awesome motorcycle event happening in Leesburg! Chris will be working on location at Gator HD. They have it all going on during this great 4 day event. Yes, Gator Harley starts a day early on Thursday-April 25th with their super kickoff party. So, mark your calendars and plan ahead. It is recommended to schedule appointments now to have artwork or pinstriping by Chris during this event, but if you choose to wait until you get there, we will do our very best to get all your custom paint needs taken care of. See you all there! 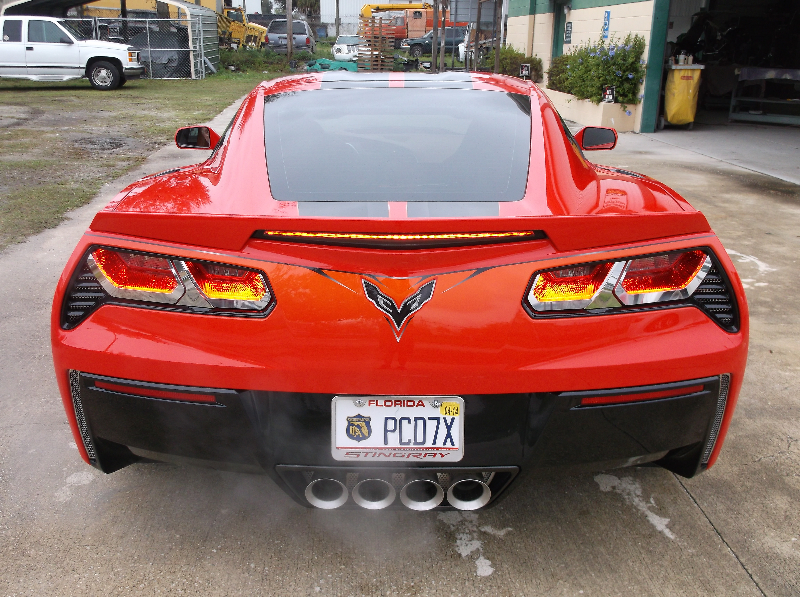 Summertime is Hot here in Florida … And so is that paint job you’ve been thinking about getting here at CCA! 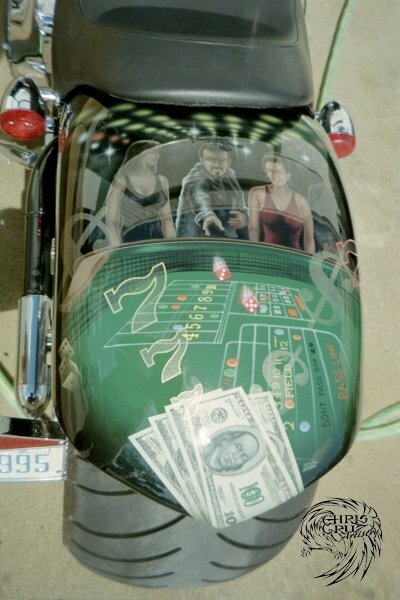 You don’t have to spends thousands of dollars to get awesome custom paint! We specialize in all facets of creative painting, be it hand lettering a name or logo, classic or modern pinstripes, graphics, or airbrush art … pricing is evaluated by each individual job. So, depending on what you’re interested in having done… simple lettering to full blown show car status, we can make it happen! 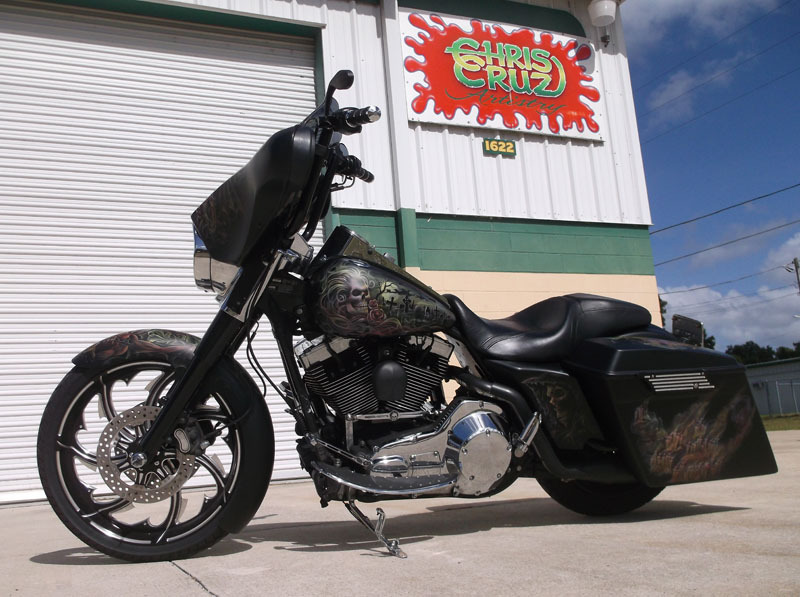 Give us a call, email, or visit on facebook to discuss all the details of getting your Chris Cruz Artistry custom paint! Let the fun times begin…. Biketoberfest is here folks!! 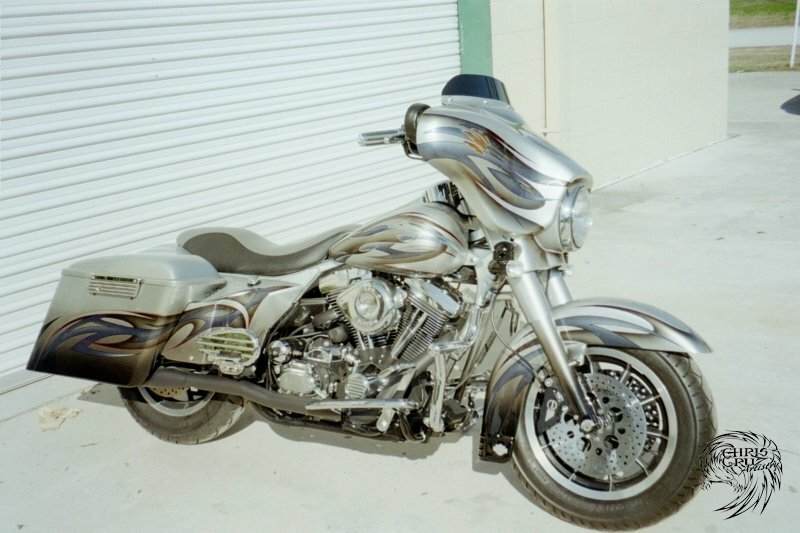 Have you been thinking about getting some custom paint during Biketoberfest? Call us now (386) 734-3000 Chris will be glad to talk with you about your ideas, give you a quote, and schedule you in during Biketoberfest. From classic pinstripes to airbrush art, we can take care of all your custom paint needs … and wants. Our shop will be open Tuesday – Friday 9-5 and Saturday 9-3. Stop over anytime to check out what we have going on! Jingle Bells, Jingle Bells, Christmas time is here! Looking for that ‘something special’ to go under the tree… how about a Chris Cruz Artistry Gift Certificate for some awesome custom paint!! We cover it all… auto’s, motorcycle’s, helmets, personalized coolers, water/coffee mugs, leather items, wooden plaques, metal, etc. If it can be painted on, we can paint it! Stop by anytime Tuesday-Friday 9-5 and Saturday 9-3 and pick up the gift that is sure to make that special someone on your Christmas list very happy!